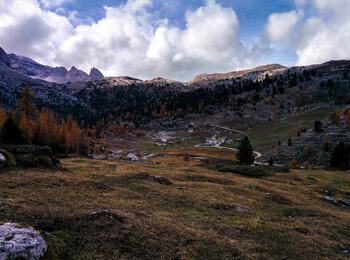 The Dolomites even in autumn offer virtually uncountable and unique tours. During autumn you can enjoy also the traditional cuisine and the good wines of South Tyrol. You can live in any farm the famous rite of Törggelen. Winery and restaurant will serve the most typical dishes, roast chestnuts and wine for the occasion. Stegona hosts the largest and oldest autumn market of the area. In the past the inhabitants of the Pustertal Valley used the market for stocks for the winter and to buy everything needed for the cold season. The market still attracts a large number of curious and lovers of traditional products in South Tyrol. For those who want to discover the beauty of the Dolomites we recommend a fun and cheerful excursion on a horse. It will be an experience unmatched ! Try to believe! 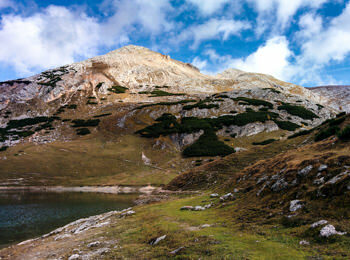 For lovers of sport, the autumn months, offers the possibility of climbing, hiking and bike tours. Before the winter turns the landscape and the mountains white, they show themselves from their most beautiful side thanks to the clear sky and to the great farsightedness. 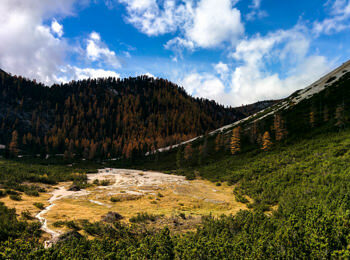 The Dolomites in South Tyrol are the favorite territory for excursionists and mountaineers in autumn. Now the paths and tracks are mostly lonesome and the unique mountain region appears calm and mystic. Marmots and chamois are coming out of their hiding places and they make sure that your trip in the Dolomites becomes unforgettable.